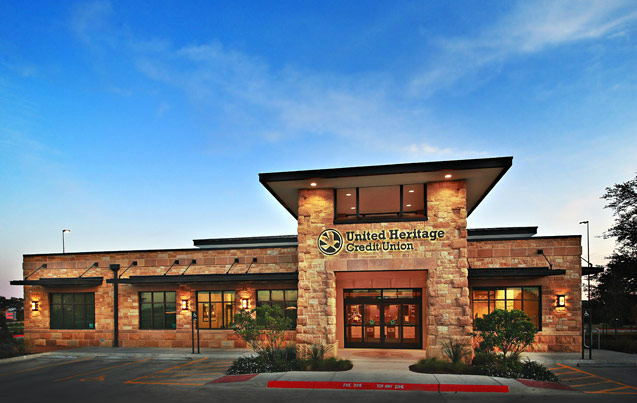 Lakeway: 3,545 SF - $1.4m - completed 3/08 Slaughter: 4,474 SF - $1.8m - completed 9/08 United Heritage Credit Union embarked on a new project to revamp their branch prototype. 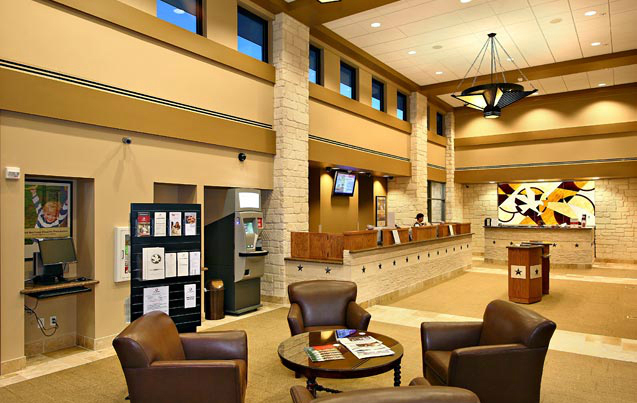 Their goal was to remain closely tied to their Texas 'Hill Country' heritage while offering state-of-the-art banking facilities. 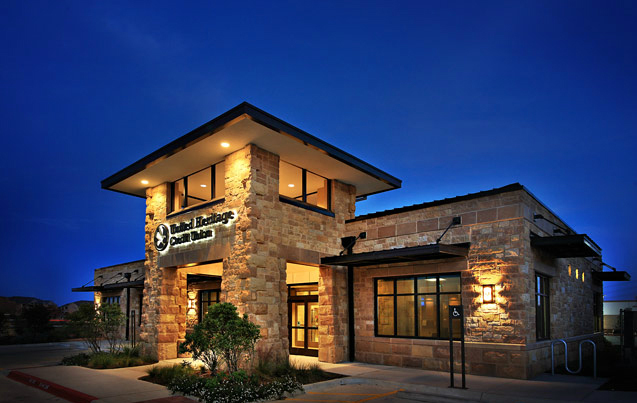 We began the project researching Hill Country regional architecture, since the 'Hill Country' look in this area has merged with a watered-down Tuscan look. 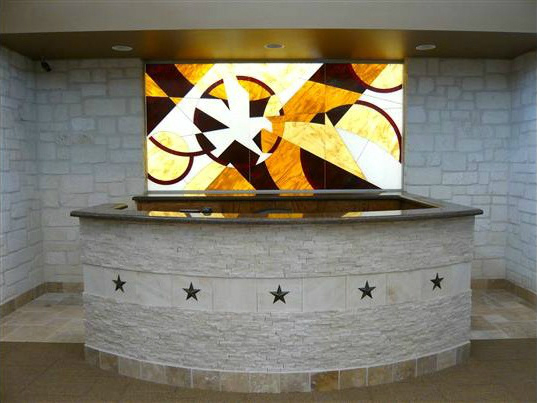 The final designs reflect the German masonry seen throughout the Hill Country. We carefully studied architectural stone details such as traditional wainscots and quoins to incorporate them into the new prototype. 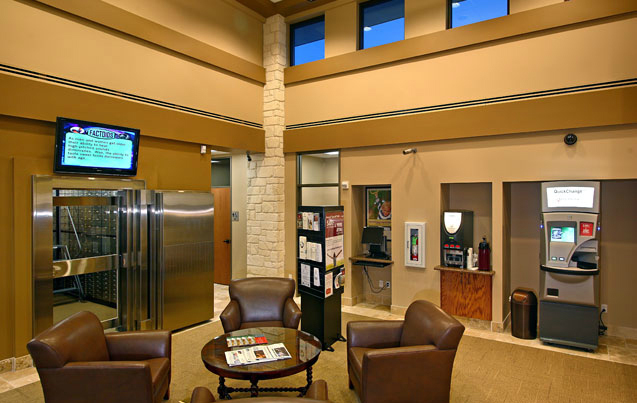 Inside the branches, the double height lobbies are flooded with natural light and state-of-the-art services. 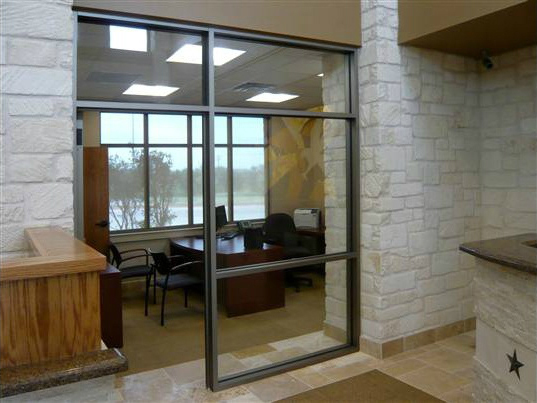 Interior details such as stone flooring and vermeer-sawn masonry accent the space and link it to the exterior stone. 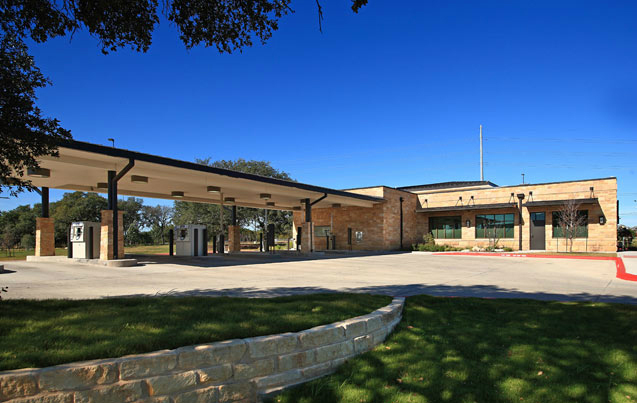 The buildings are carefully sited and designed to maximize North and South natural light and minimize energy usage.